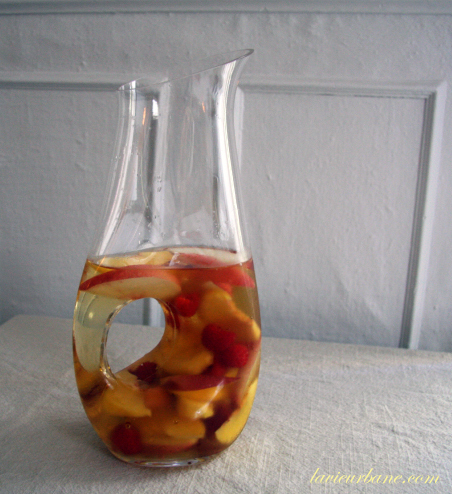 It reached 100 on Friday in the Boston area, so when I got home from work, I felt compelled to make some Sangria! 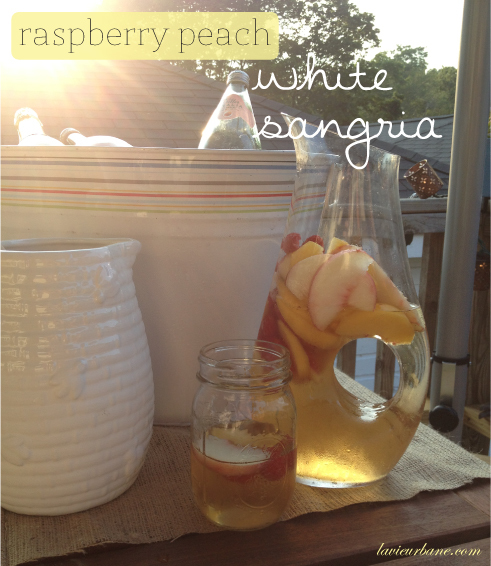 Sangria is such a perfect summer drink and no matter what fruity combinations you try, it’s impossible to go wrong! Here’s one of my favorites to make. To make, cut the peaches into slices and fill the bottom of a pitcher with the peaches and raspberries (I always go heavy on the fruit!). Fill the pitcher about halfway with wine (I used a little more than half a bottle), let soak 30mins to an hour in the fridge, covered. 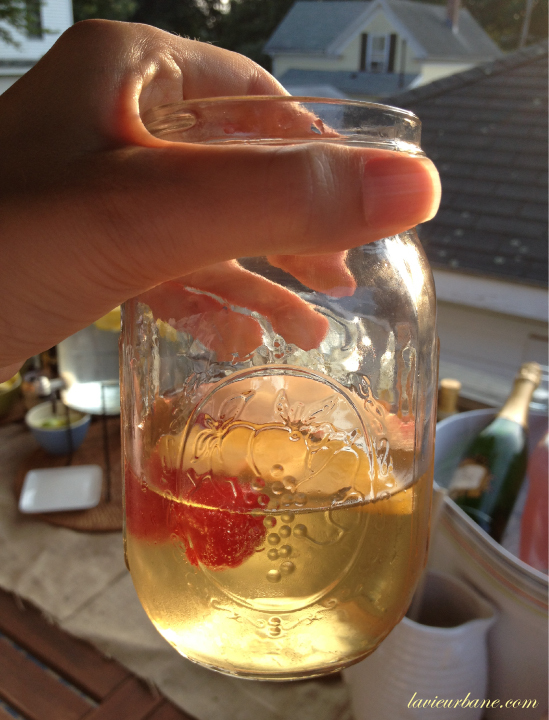 When ready to drink, pour in the ginger ale (enough to fill pitcher or to taste). Stir and sip. Enjoy! And when you just want the traditional red, here’s one you should try (we modified this a bit to make it easier, and it turned out delicious!)! 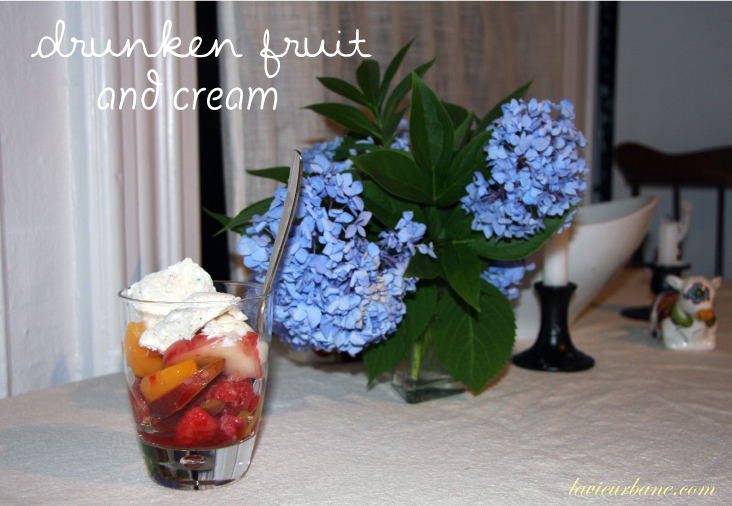 Just top the fruit off with Vanilla ice Cream!! What’s your go to for Sangria? Do you have any favorite combinations? Favorite recipes?